We are proud to introduce ourselves as one of the prominent Manganese Sulphate Exporters from India. Comprising of 32% manganese, our Manganese Sulphate Solution is agriculture feed grade and feed grade supplement. 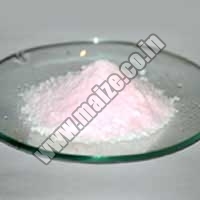 This pinkish and off-white Manganese Sulphate Chemicals is used in veterinary and micro-nutrition products. They are used as poultry, animal and cattle feeds and are available at nominal prices.